Yes, the legends were right: in Amsterdam, pancakes are a legit dinner food. 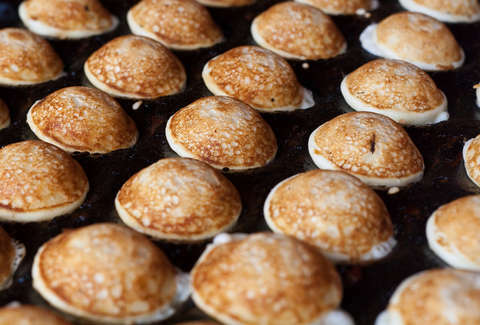 In Dutch, these bad boys are called pannenkoeken (aren't you glad we translated that one for you? 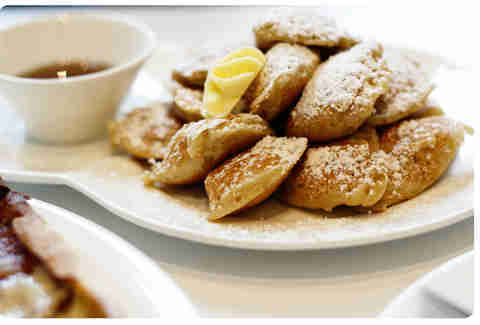 ), they're thinner than the US version, and they’re served either savory or sweet w/ stroop (molasses) & powdered sugar. Here are the best spots to get ‘em. The ground-floor “Pancake Basement” boasts a 70-item-long menu of pan-pies to please everyone, including a nod to their disc-shaped kindred spirits: pizza pancakes, loaded w/ salami, onions, and ham. If you think you can do better (ha! ), then ignore the menu and get them to make you one to order. 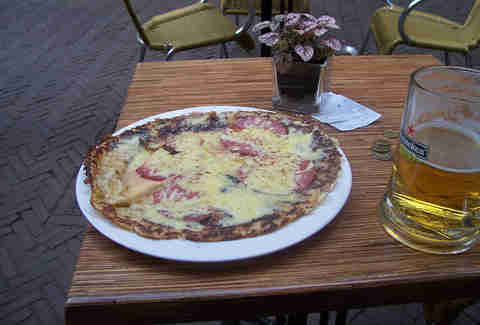 This perennial fave of visitors to the nearby Anne Frankhuis is more of a pancake basement than De Pannekoekkelder. Without outside light (or cell reception) it’s easy to lose yourself in the sea of flat pastries, which are topped with everything from bacon & raisins to Thai red curry w/ fried chicken & bamboo shoots. 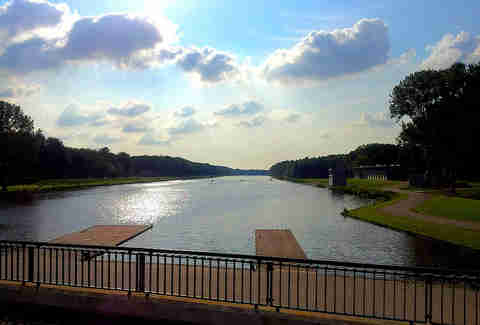 Dessert-wise, you can and should get the Poffertjes: bite-sized pancakes covered in powdered sugar, optional sauces (both chocolate and liquor here), and whipped cream -- and if it's even vaguely warm, eat 'em all outside on the canal-side terrace. 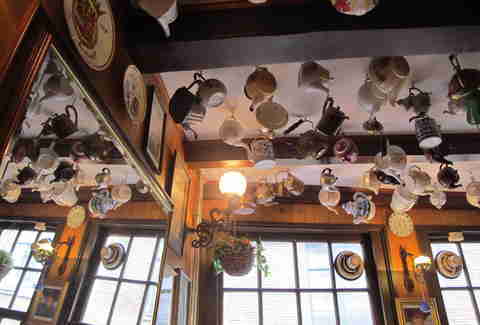 It doesn’t get any more Olde Amsterdam than climbing these neck-breakingly steep steps to emerge to smiling royal family portraits in a charmingly cramped dining room literally dripping with teapots. With the kitchen right on top of you, get your pancake topped with the likes of pear, eggnog, and chocolate sauce, maybe some ginger, apples, and Grand Marnier, or even chicken gravy. It's actually a lunch spot, and closes by 5 or 6p; so call ahead to guarantee a table. Deservedly, this is probably the most hyped new-ish pancake house in the city, (hey, we’ve even talked about it ourselves before.) The menu fills in the gaps left by other pancake houses with specials like French claufoutis (which is a freaking pancake pie), muesli pancakes, and the most authentically American buttermilk, maple-soaked short stacks in the city (with optional banana and/or bacon extras). One of these things is not like the others... and this is that thing. Wildly different from all the other pancake spots in town, this hidden Jordaan foodie find puts out Osaka-style 'cakes (called okonomiyaki). 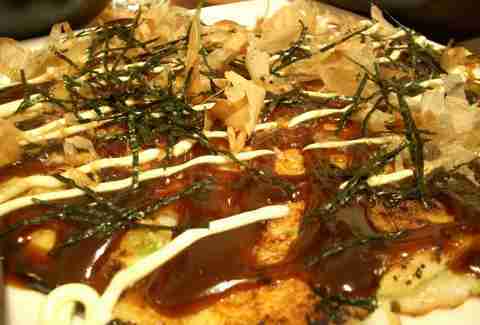 More like crepes than the Dutch numbers, these dough-babies are loaded to the hilt with ingredients; the Osaka Deluxe comes w/ jumbo shrimps, scallop, pork strips, salami, cheese, shiitake mushrooms, and squid. Then, you get to navigate it all into your mouth using chopsticks and a small metal spatula. This new spot's parked right at the gate of the city, and goes to the French routes of the thin Dutch pancakes and their decadent toppings with even thinner pancakes with arguably more decadent toppings. 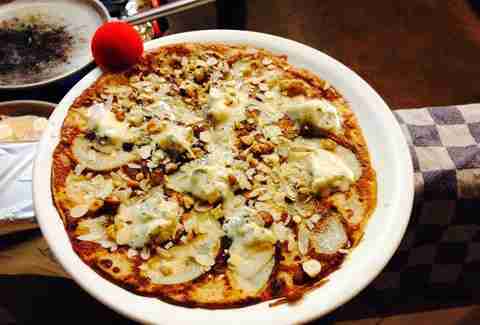 (Liked the pizza pancakes? Try the crêpe with goat’s cheese, sun-dried tomatoes, pesto, and basil.) Tiny and better suited for take-out, this Frenchie take on the ‘cake is open until 10p and closed Tuesdays. 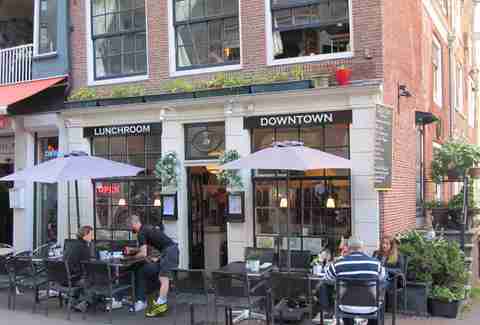 Lunchroom Downtown is not only located on the famed Reguliersdwarsstraat, in the street's oldest building (dating back to 1642), it was the city’s first openly gay café (since 1970), and is as tastefully decked out as you might expect with a sweet terrace to boot. They supplement their pancake menu (which includes plates of a dozen mini pancakes) with all the lunch/brunch faves, from burgers to salads to full English or American breakfasts. Located on the edge of the city's biggest park, sprawling indoor/outdoor pancake house “Lakeview Farm” is perfect for those moments you want to combine pancakes with some heavy petting... of actual animals! We’re talking about literally scratching goats, peacocks, and deer behind the ears here. First, however, the pancakes. They've got a long list of traditionals topped by a kebab pancake w/ garlic sauce.